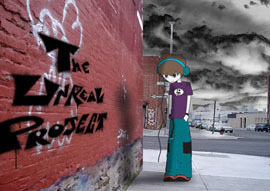 the unreal project / buenos aires (argentina) -- is the drum & bass project of alejandro vernet, producer and dj, who brings you his first e.p. whith two tracks – “drama and bass” and “up”. his style represents a mix of urban sound, harmony and peaceful melodies. enjoy it.